Over the course of the last two years, PUSOG has been helping out the house with renovations that improve the resident’s lives. We have paid off the loans for the roof renovation from Spring 2013, and we fixed some major plumbing issues in the kitchen. 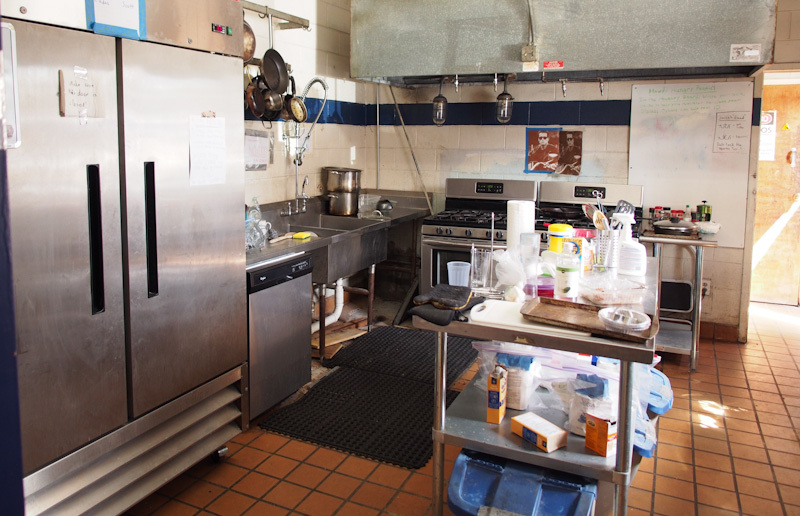 We moved the grease trap to under the sink, fixed the holes in the wall, replaced the stove with smaller, easily maintainable stoves and removed all the wooden cabinets from the kitchen replacing them with metal shelves. With that work done, our goal for the next year is to fix up the front side of the house. The front side of the chapter house has been steadily deteriorating. The front porch is falling apart, with some serious damage to the support columns and wooden cover. The windows lining the stairwell leak water whenever it rains, which leads to damaged tiles and maintenance issues. The front double doors are falling apart and are both poorly insulated and insecure, plus the makeshift wooden window next to it has been there far beyond the intended life span. On top of all of that, it’s just plain ugly to look at from a distance. We want to fix up all of these problems, plus fix up all the windows and stucco on the sides of the house to match. 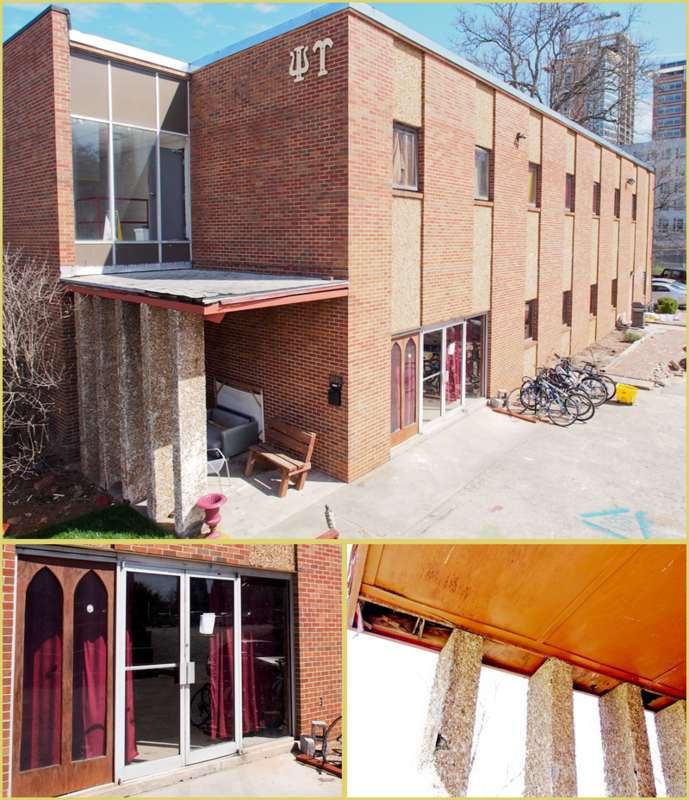 The plan is to remove the porch covering and columns, replace the windows in the stairwell, replace the entry double doors with new doors, and convert the windows next to those doors with half windows. At the same time, we’re going to replace all the windows on both sides of the house and remove the pebbles and overhaul the stucco covering. These changes will help with a variety of problems with the house. First off will be the improved aesthetics. Currently, the house looks decrepit, so a face-lift should help convince more brothers to live in the house. Secondly, better security in general for the residents in the house. Lastly, the costs of maintenance will go down with improved insulation and fewer leaks. To accomplish this, we are aiming to raise $100,000 dollars in donations. We will be tracking all donations on our website, http://www.pusog.org , and are working on ways to reward and recognize our donors for their help. Our goal is to have all this money raised in time to break ground by Winter 2016. 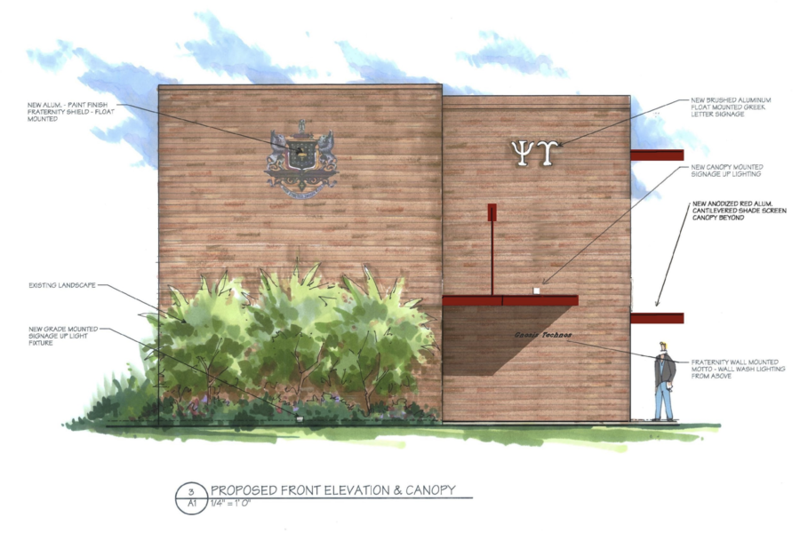 Help us make the house worthy of our chapter of extraordinary magnitude. You have our gratitude.